Point2 Homes gives you far more than a simple list of houses for sale. 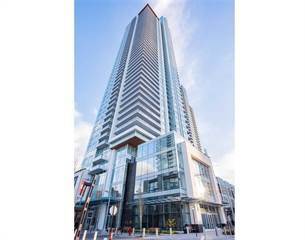 Get instant access to a lot of relevant information about Burnaby, BC real estate, including property descriptions, virtual tours, maps and photos. The search results pages also have a wealth of information on Burnaby, BC, if you scroll all the way down. There are 818 houses for sale in Burnaby, BC. 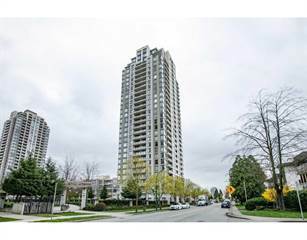 Searching homes for sale in Burnaby, BC has never been more convenient. With Point2 Homes, you can easily browse through Burnaby, BC single family homes for sale, townhomes, condos and commercial properties, and quickly get a general perspective of the real estate prices. Also, you’ll never miss a bargain if you filter listings based on house price drops in the past six months. Use the map view to find Burnaby, BC homes and apartments for sale, based on amenities or city features that you may want close by. You can close in on a specific neighbourhood or area by simply drawing around them with the polygon or radius tools. Stay informed about the latest entries on the real estate market by saving your searches. This way, you get new listings in your inbox, daily or every week, based on your preferences. If you’d like to get in touch with a professional, agents are displayed next to their listings, and they’re easy to contact through the online forms. If you want more options, you can click the Tools tab and Find an Agent, and you’ll get a list of helpful and knowledgeable real estate agents in Burnaby, BC. Visit the Point2 Homes blog and you can find up to date expert advice on many markets throughout Canada, regular market reports, neighbourhood scoops in cities throughout the provinces, real estate deals and useful recommendations. With a population of approximately 223,000 people, Burnaby is the third-largest city in British Columbia. Burnaby’s combination of modern urban living surrounded by the breathtaking naturistic views of British Columbia makes Burnaby one of the most liveable cities in Western Canada. Burnaby occupies 38.07 square miles and is located in the geographical centre of the Metro Vancouver area. It is home to many commercial and industrial companies as there’s an abundance of young professionals and families living in Burnaby who commute to Vancouver on a daily basis. 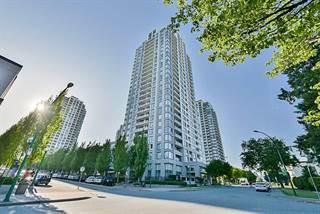 Since Burnaby is the third-largest city in British Columbia, its real estate market is growing rapidly in bustling neighbourhoods which are attractive for young professionals, families, and retirees who are looking to settle down in this beautiful city. The economy consists of various firms setting up camp in Burnaby including information technology, education, new media, and wireless companies. Burnaby is also home to stable industrial sectors such as agriculture, heavy and light industries. Burnaby’s School Board has been offering quality education to thousands of students in each community and has established 41 elementary schools and 8 secondary schools. As for transportation, Burnaby has an efficient transit system that includes Sky Trains, Sea Buses, and buses to make it convenient to travel to and from Vancouver and neighbouring cities New Westminster and Coquitlam. Lastly, the real estate economy is booming in Burnaby and attracts young professionals’ new families, and retirees as there is a variety of new condominiums, single family homes, and detached and semi-detached homes up for sale. Since Burnaby is an urban city, the majority of residents commute to work and school from their homes into Vancouver. Its infrastructure is built on an efficient transit system, so Sky Trains, Sea Buses, and buses make it easy to travel to and from Vancouver and neighbouring cities Coquitlam and New Westminster. The Vancouver International Airport is also a short distance away by car and bus. Looking to buy a home in Burnaby, British Columbia? You’re in luck because Burnaby’s real estate market is growing rapidly in bustling neighbourhoods filled with new condominiums and single-family homes being built as we speak! Burnaby consists of thirteen urban villages and four town centres – Metrotown, Edmonds, Lougheed, and Brentwood. Burnaby homes for sale are located in family-friendly suburban areas like West Newton and North Burnaby. Since Burnaby is ideal for young professionals and new families, there is a range of condominiums, single family homes, townhouses, detached and semi-detached family homes up for sale. Burnaby also attracts retirees, so there are many luxury estates that offer commercial and residential properties, while new communities are being built along the convenient transit lines. Burnaby’s location is ideal for nature lovers because the new areas of Renfrew Heights overlook the views of the North Shore Mountains. Renowned neighbourhoods of Deer Lake and Buckingham Heights offer luxury homes and plenty of lots where you can build your own dream home! With the famous MetroTown Mall, Deer Lake Park, and Burnaby Mountain, Burnaby is a beautiful and safe place to call home and raise a family. Burnaby is internationally recognised as a Canadian educational hub that offers access educational opportunities at all levels. Every year, thousands of international students attend Burnaby’s public schools and two post-secondary institutions, Simon Fraser University and BCIT. Since 1906, Burnaby’s School Board has been offering quality education to thousands of students in each community. To think the school board began with a combination of one-room schoolhouses in the 20th century, and has now established 41 elementary schools and 8 secondary schools. The Burnaby School Board enrols 24,000 students from kindergarten to Grade 12 and has over 4,000 teachers and employees who provide all students with high-quality programs that motivates student achievements in areas such as academics, athletics, visual and performing arts, trades training, teamwork, and social responsibility. So if you’re thinking of relocating to Burnaby, the business and economic forecast is on the rise making it a great place to live and build a successful career.